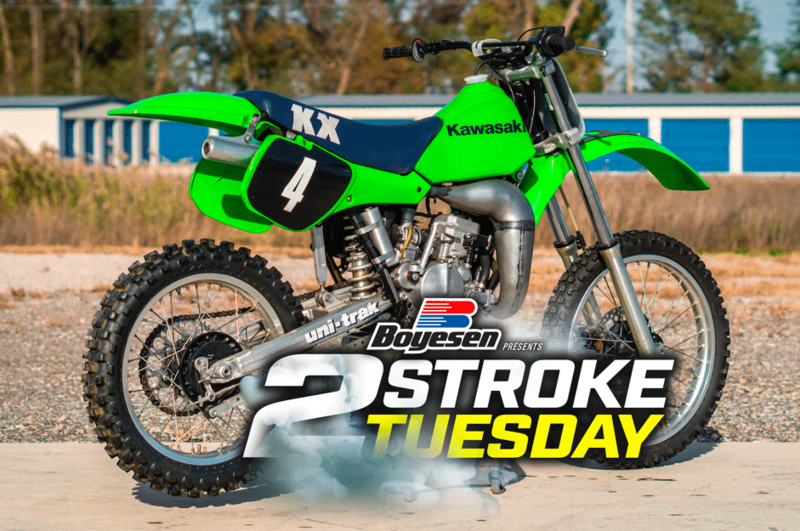 On this week’s Two-Stroke Tuesday brought to you by Boyesen we take a look at Jeff Ward’s 1984 factory Kawasaki SR125. This machine goes on the Mecum auctioning block in Las Vegas later this month. 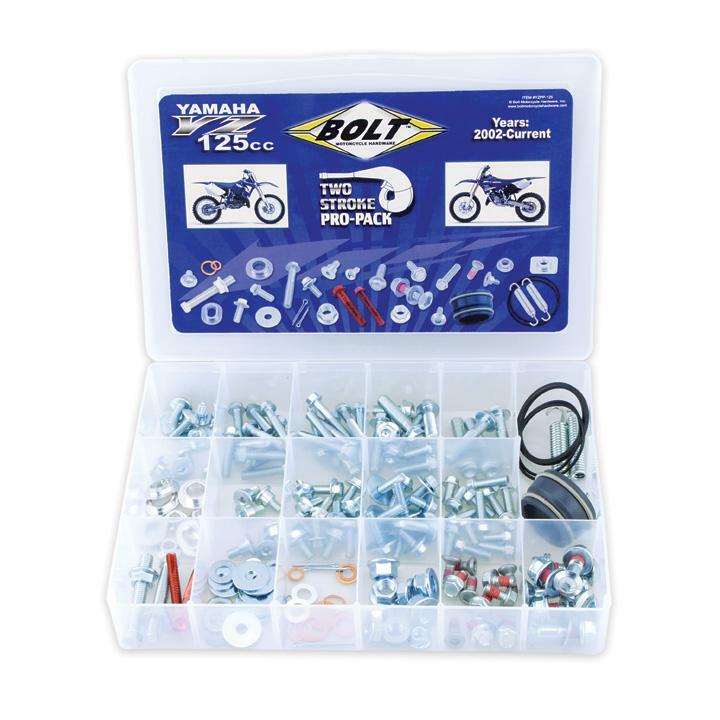 Products from Bolt Motorcycle Hardware and Pro Circuit are featured in our 2-Stroke Hardware section and 2-Stroke Theater is all about off-road 300cc machine. 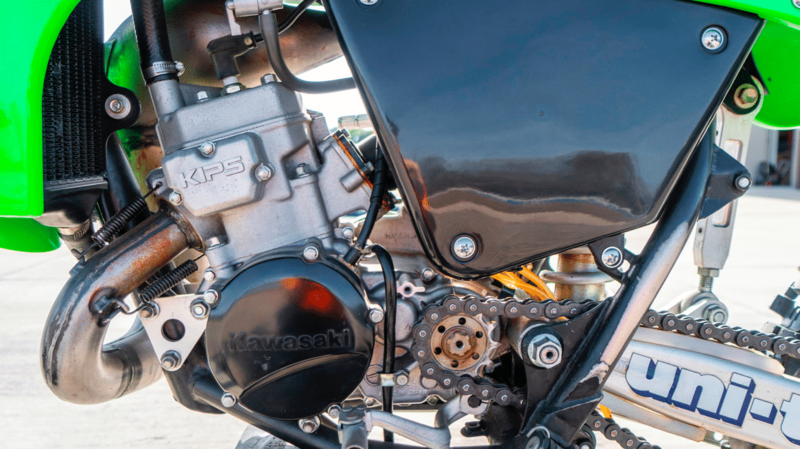 Kawasaki fans don’t miss the exclusive link to our Chaparral KX two-stroke build at the bottom of this post. Jeff Ward, seven-time national champion, was the first rider in AMA history to win all categories (125, 250 and 500) in professional motocross and supercross. 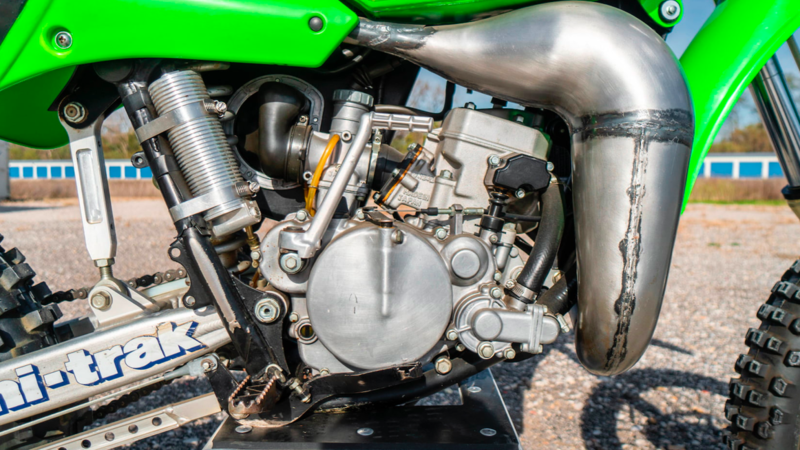 That incredible run of national titles began with this machine, the 1984 Kawasaki SR125. Ward came through in flying colors in 1984, winning eight out of 10 rounds to clinch his first National Motocross title. It may not look like much but this KX125 power plant is 30-plus years old now! Over the course of his pro career, the green bikes became synonymous with the multi-time champion. This SR125 (Special Racer, which was Kawasaki’s designation for its works machines) was the last full works/non-production 125 he raced. It was the plethora of trick parts that added to the aura that surrounded these unobtainable machines. Factory one-off hand welded swingarm hooked up to the uni-trak rear suspension. 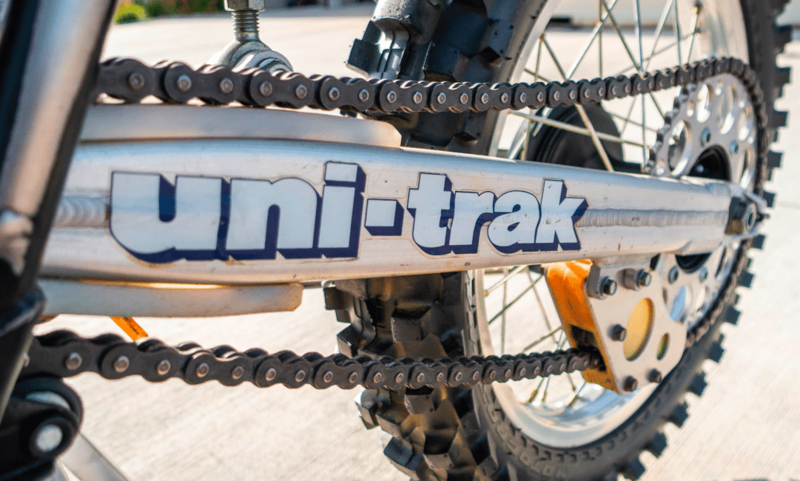 Originally called the Bell Crank, the Kawasaki device was later christened the uni-trak. Early prototypes featured a seesaw layout, where swingarm movement caused the vertically arranged shock absorber to be compressed via pushrods and an upper link. 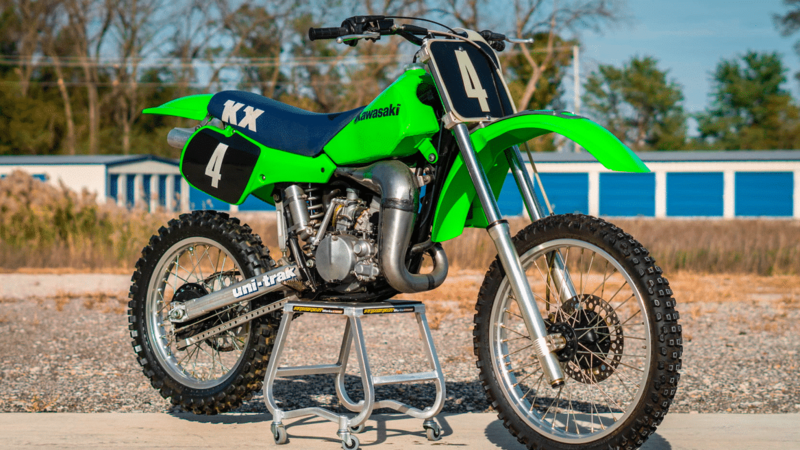 Bikes like this Kawasaki SR125 helped to make this period one of the most interesting in motocross history and one that will not soon be forgotten by dirt-bike enthusiasts the world over. 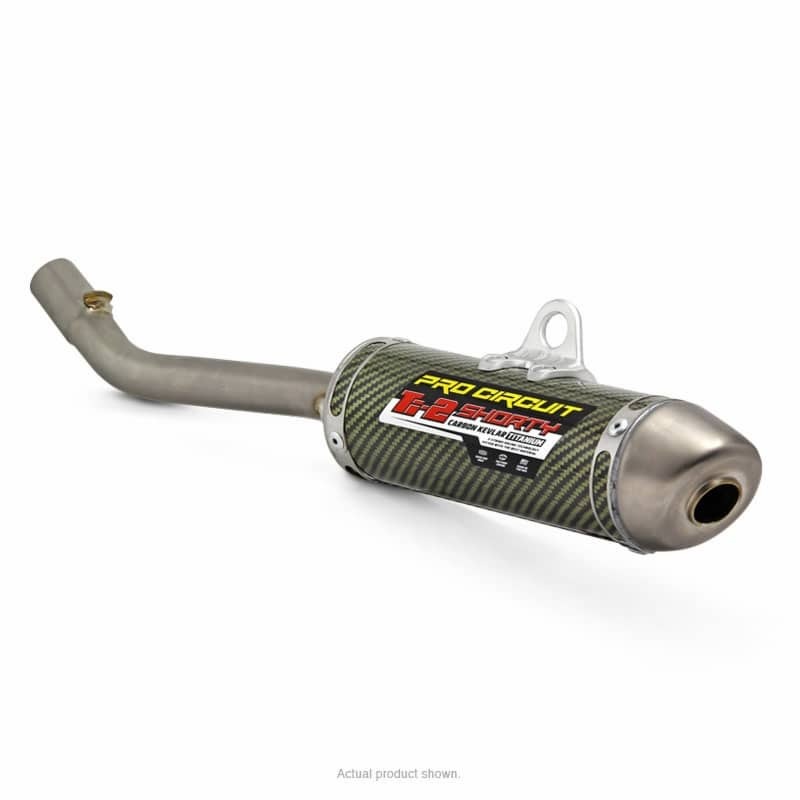 The Ti-2 is similar to the popular R-304 Silencer except it is constructed with a carbon Kevlar shell, titanium tubing and titanium end-caps. The titanium and carbon Kevlar construction offers the “factory” look and appearance while reducing weight. The Ti-2 is for closed-course racing only. 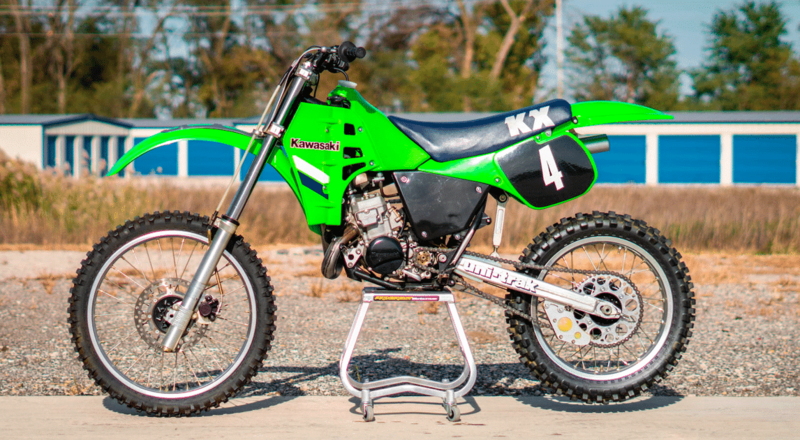 If you like the small-bore Kawasaki featured on this week’s Two-Stroke Tuesday check out this sweet KX125 build. Click the image below for the full story.